Situated along the banks of the Trinity River and ranked among the top 25 daily fee courses in Dallas-Ft.Worth, Riverside Golf Club is perhaps the purest golf experience in the area. 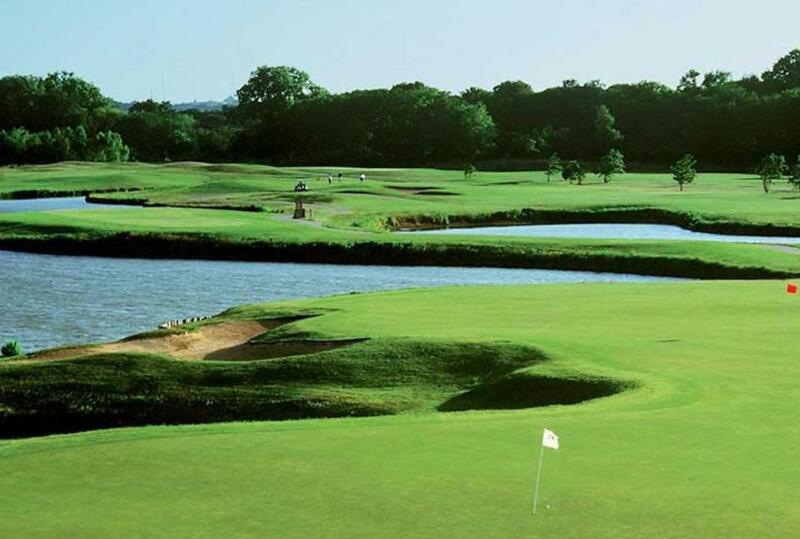 A challenging mix of traditional links-style holes designed by Roger Packard, this gem of a course features one of the best sets of par 3’s in Texas! Riverside has created a unique playability that is a great challenge for veteran golfers and beginners alike. Just minutes away from DFW Airport, Six Flags Over Texas, The Ballpark at Arlington, and Texas Stadium, Riverside is a natural choice for your casual round or a group event. The Riverside Pavilion provides a covered, open-air gathering space that comfortably seats 200.